Storing your tyres in the most efficient way possible is about maximising your use of space without affecting the quality of the tyres. Here you'll find tailor-made solutions regardless of the height, depth and width available. Maybe you're a local independent tyre outlet using small shelving systems, or an international manufacturer requiring a high-rise rack installation. Tyres stored vertically provide you with higher storage density and free up your floor space. 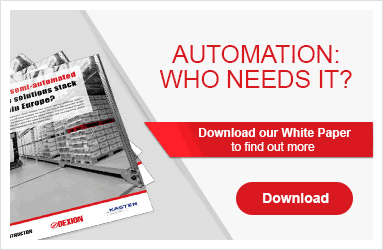 Have a smaller warehouse with manual handling? Hi280 Shelving is ideal. With spans of up to 2 metres, the tyre racks can be very effective in small spaces. Easily assembled in multiple ways. Longer shelf spans, fewer uprights, and the possibility of double-deep tyre storage. The Longspan system is designed to store more tyres in the same space, adapting and expanding to your changing requirements. Designed for larger volume tyre storage horizontally in warehouses, using fork lift trucks, its modular design means the storage space can be fully utilised. Allowing your teams to benefit from easy handling, storage and retrieval of all tyres for any one vehicle. Mobile tyre racks significantly increase your storage space, and are ideal when floor space is limited or rates per m2 are high. Mobile Hi280 shelving system - Mountable on top of your existing floor for an easy, cost-efficient option. Mobile P90 Racking System (MOVO) - Electronically controlled, heavy-duty mobile racking system running on embedded rails, with bay loads of up to 24 tons, and racking heights up to 12 metres.